(Milwaukee, WI) – Horny Goat Brewing Company is starting their 4th year in the craft industry with new brews and new distribution. Located in Milwaukee, Wisconsin, Horny Goat prides itself on creating delicious beers that are both traditional and different. This summer marks the second year Watermelon Wheat, their best selling seasonal, will be available in markets. With real watermelon added during the fermentation stage this wheat ale is a great beer to enjoy during the summer. They are also perfecting new brews in preparation for mass distribution at their Milwaukee Brew Pub. Horny Goat Brewing Company is expanding its reach to many additional markets in the United States in the near future. Horny Goat Brewing Company currently serves 19 states. Horny Goat was founded in 2009 on the idea that craft beer should be fun and not so pompous. 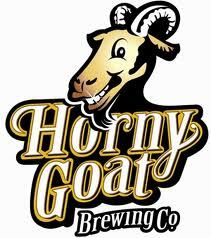 Horny Goat Brewing Company’s line includes a wide variety of flavors both traditional and unique: Exposed Cream Ale, Hopped UP ‘N Horny IPA, Horny Blonde Lager, Baby Got Bock, Watermelon Wheat, HornyCopia Pumpkin Ale, Oktoberfest, Stacked Milk Stout, Brownie Porter, and Chocolate Cherry Stout. Madhouse Brewing Belgian Golden Ale releases next week!